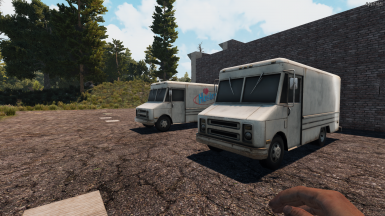 A simple new vehicle: the Box Truck. 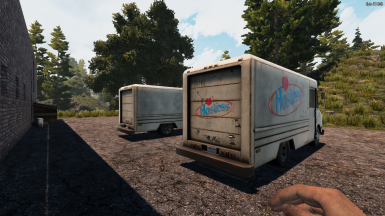 It comes in 2 versions: a plain truck and then a Hostess version(so you'll always have Twinkies on hand during the apocalypse!). Has it's own recipe, using 4x4 parts. So, obviously unlocking the 4x4 Truck is required to craft this. Each truck takes: 6 Wheels, 2 engines, 2 batteries, 4x4 chassis, and 4x4 accessories. Has high amount of storage, and holds a lot of gas. It isn't very fast, turns kinda slow and burns gas faster than a 4x4.